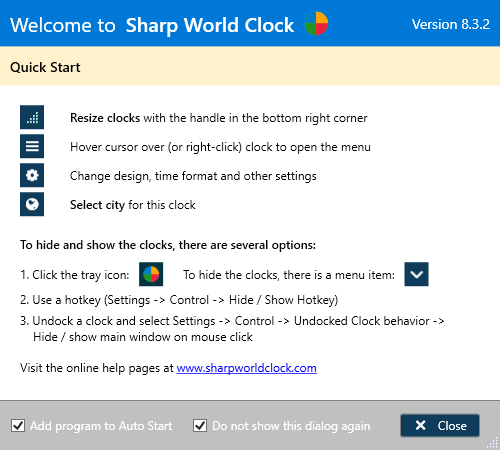 The latest trial version of Sharp World Clock can always be downloaded from this link. The signed installer is about 12 MB; just follow the instructions after launching it. In case your antivirus program shows an alert and blocks installation because of a heuristical positive finding, please notify me, so I can send a message to the company to fix the issue, which usually just takes a few hours. 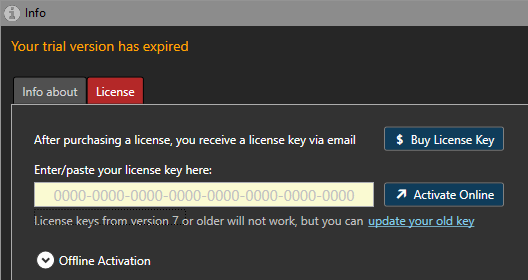 You may install the program with one license on two computers, if you are a private user (only one for business users). If the trial period is over, the program will not work properly anymore - dialogs will not open and the reminder popup shows up more frequently.